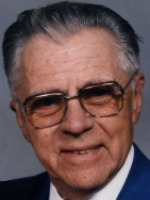 Chester L. ‘Chet’ Cooley of Otsego, Michigan, passed away Monday, July 30, 2007 in Plainwell. Chet was born April 30, 1914 in Allegan, the son of Delbert and Hannah (DeLano) Cooley. For 34 years, he was employed with the Menasha Paper Co. in Otsego, retiring in 1980. He was a member of the First Congregational Church of Otsego and a Life Member of VFW Post #3030, the VFW National Home for Children in Eaton Rapids and the Otsego Moose Lodge. Chet served with the Otsego Fire Department for 13 years. He enjoyed Tiger Baseball, traveling and was an avid Cribbage player. On June 28, 1947, In Otsego, he married Vivian ‘Elaine’ Hays, who survives. Also surviving are 2 sons and 2 daughters, Robert (Linda) Cooley of Otsego, Deborah (Jim) Nimmer of Kalamazoo, Gary (Kay) Cooley of Kokomo, IN, Ann Cooley and her special friend Pat Naquin of Pensacola, FL; 5 grandchildren, Scott, Erin, Jason, Daniela and Jennifer; 7 great grandchildren; 1 sister, Audra Brenner of Allegan; many nieces and nephews. He was preceded in death by 1 brother Howard and 2 sisters, Vivian and Edna. Friends may meet the family from 5 to 8 P.M. Thursday at the Winkel Funeral Home, Otsego, where services will be held Friday at 11:00 AM, Pastor David Youngs and VFW Post #3030 officiating. Burial of the cremated remains will be in Oakwood Cemetery, Allegan. Memorials can be made to the VFW National Home for Children. 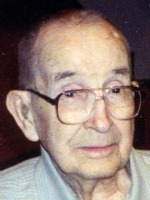 Delbert H. “Del” Kellogg of Otsego passed away peacefully Friday, June 29, 2007 at his home. Del was born May 4, 1921 in Kalamazoo, the son of Grant and Edith (Hall) Kellogg. He worked in the printing industry for a total of 40 years between Doubleday Bros. and Mastercraft before starting his second career in teaching, and eventually retiring from the AlleganCountyAreaTechnical & EducationCenter in 1995. Del was an Army Veteran of WWII in the Asiatic-Pacific Theater. He was a member of VFW, the OtsegoUnitedMethodistChurch and the Allegan Historical Society. He enjoyed coaching softball and baseball, bowling, golf, fishing and was an avid music lover. On December 16, 1967 at the OtsegoUnitedMethodistChurch he was united in marriage to Sharon Knight, who preceded him in death on January 31, 2004. He is survived by 6 children Douglas Kellogg, Sharon (Lyle) Lumbard, Tom (Carrie) Hall, Pamela (Edward) Black, Katherine (Thomas) Thompson and Dawn (Dylon Finch) Kellogg; 14 grandchildren; 4 great-grandchildren; and 1 brother, Norbert Kellogg. He was preceded in death by: his parents; a brother, Grant Kellogg, Jr; and a sister, Vesta Kellogg. Friends may meet with the family Monday from 2:00 – 4:00 and 6:00 – 8:00 PM at the Winkel Funeral Home in Otsego, MI. Funeral services will be held Tuesday at 11:00 AM at the Otsego United Methodist Church, Rev. Gary S. Wales officiating. Military graveside services will be conducted by VFW Post #3030 at Mountain Home Cemetery, Otsego. Those desiring may make memorial contributions to the Leukemia and Lymphoma Society or to the Otsego United Methodist Church. Tigers baseball and watching her grandchildren play sports. On June 8, 1968, she married Jerry Haight, Sr. In May of 2002, she married Edward Hiscock, who preceded her in death on November 8, 2006. Also preceding her in death was her father. Surviving are 2 sons, Jerry (Tracy) Haight of Otsego and Travis (Candrice) Haight of Chicago, IL; 2 grandchildren, Brittany and Logan; 2 step-children, Mike Hiscock of Kalamazoo and Lory (Bob) Leslie of Plainwell; 2 step-grandchildren, Peyton and Riley; her mother, Maxine Phillips of Delton; 1 sister, Judy (Don) Bever of Delton; several nieces and nephews; many friends, including special friends, Linda, Bob and Corrine. Friends may meet with her family from 5-8 P. M. Friday at the Winkel Funeral Home, Otsego. Cremation will then take place. A memorial service will be held at the Otsego Church of God on Saturday at 11 A.M., Rev. Jack Eitelbuss officiating. Memorial contributions may be made to the Otsego Church Of God. Jennie Marie (Osborne) Town of Otsego, Michigan, passed away Monday, June 25, 2007, at her home with her family at her side. Mrs. Town was born September 28, 1939, in Douglas, Michigan to Thomas and Winnifred (Abbott) Osborne. She was a devoted wife to Raymond Town for 48 years and the wonderful mother of three children. Jennie loved her seven grandchildren and two great-grandchildren. She loved shopping, traveling and being with family. For many years she was employed at Alamo Nursing Home and enjoyed her work and co-workers. She just enjoyed being on the go. She was preceded in death by her parents and by a grandson, James Michael Amidon. 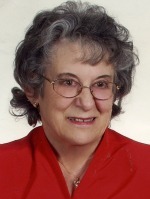 In addition to her husband, Raymond Town, she leaves behind 3 children, Laurie (Morris) Hanson of Plainwell, Stanley (Mary) Town and Julie Roebuck, both of Otsego; son-in-law, Douglas Roebuck; 6 grandchildren, Raymond, Tom, Matt (Laura), Casey, Rachel and Alicia; 2 great-grandchildren, Mackenzie and Jennie Marie; two sisters, her twin, Jane Worden of Plainwell and Sally (Carl) Harvey of Fennville; many in-laws, nieces, nephews and friends. Friends may meet with the family from 2 to 4 and 6 to 8 P.M. Wednesday at the Winkel Funeral Home, Otsego, where services will be held at 11:00 A.M. Thursday, with Pat Weatherwax, Borgess VNA Hospice Chaplain, officiating. Burial will follow at Mountain Home Cemetery, Otsego. Contributions in memory of Jennie may be made to Borgess VNA & Hospice Services. 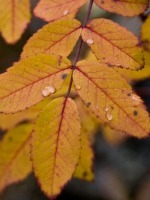 Donna E. Harter of Allegan, Michigan, went to be with her Lord on Thursday, June 21, 2007. 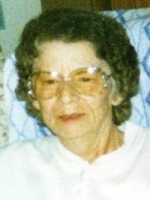 Mrs. Harter was born January 12, 1922 to Burr and Dora (Bouchard) Miller. Her favorite activities were sewing, embroidering, playing cards, fishing and traveling. She was an excellent house cleaner and had been employed by many area families. Donna was married to Merton Harter, who passed away in 1967. She was also preceded in death by 2 brothers, Robert Miller and Lawrence ‘Curly’ Miller; and a sister, Dorothy James. Surviving are her sister, Helen Young and her brother, Bert (Della ‘Irene’) Miller Jr., both of Allegan; several nieces and nephews. Friends may meet with the family beginning 10 AM Monday at the Winkel Funeral Home, Otsego, until the time of the service at 11:00 A.M. Monday, Funeral Celebrant William Rose officiating. Burial will follow at Mountain Home Cemetery, Otsego. Contributions in memory of Donna may be made to the American Heart Association of Michigan. 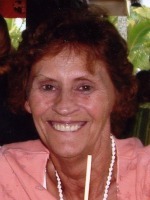 Nannette Wilgenhof of Plainwell, Michigan, went to be with her Lord on Friday, June 15, 2007. Mrs. Wilgenhof was born March 7, 1927 to Arthur and Ferol (Lane) Sonneville. For many years she was employed as a cook for the State of Michigan Rehabilitation Center for the Blind. Nannette was a member of the Oak Grove Bible Church. She loved going to the lake, flower gardening, her two dogs, china painting, playing games with the grandkids and had crocheted an afghan for each of her grandchildren and great-grandchildren. On December 6, 1946 in Kalamazoo she married Anthony ‘Tony’ Wilgenhof, who passed away in 1998. She was also preceded in death by two sisters, Joan Lesman and Connie Lesman. Surviving are 6 children, Nancy Warner of Plainwell, Sue (Larry) Roth of Wyoming, MI, Dave (Lori) Wilgenhof of Jackson, Paul (Lauren) Wilgenhof and Mark (Karen) Wilgenhof, both of Plainwell and Dawn (Tim) Rouse of Allegan; 16 grandchildren and 11 great-grandchildren; a brother, Robert (Pat) Sonneville of Kalamazoo; a sister, Babs (Carl) Summers of Florida; many nieces and nephews. Friends may meet the family from 2 to 4 and 6 to 8 P.M. Monday at the Winkel Funeral Home, Otsego, where services will be held at 11:00 AM Tuesday, Pastor David Ives officiating. Burial will follow at Fort Custer National Cemetery, Augusta. Contributions in memory of Nannette may be made to Oak Grove Bible Church. where services will be held at 11:30a.m. Monday June 18, 2007, Pastor Scott Otis officiating. Burial with Military Honors at Fort Custer National Cemetery, Augusta, will be at 1:30 P.M. Monday. Contributions in memory of Darl may be made to the American Cancer Society. 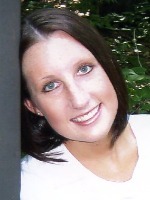 Taylor N. Betts of Otsego, Michigan, passed away Tuesday, June 12, 2007 as the result of an automobile accident and now resides in the arms of her Heavenly Father. Taylor was born August 19, 1988 in Kalamazoo to Christopher and Katrina (Terry) Betts. She was a 2007 graduate of Hopkins High School and for the past three summers was employed at the Dairy Freeze in Otsego. Taylor loved being with her family, hanging out with friends, and shopping at the mall. She loved church and was the assistant church secretary at the River of Life Church in Martin. Surviving are her dad and mom, Greg and Katrina Glazier of Otsego; her sister, Lexi Glazier of Otsego; grandparents, Ken and Kerry Terry of Plainwell and Marlin and Mary Glazier of Kalamazoo; great-grandmother, Erline Turner of Otsego; aunts and uncles, Kandy (Bryon) Campbell of Otsego, Ken (Alease) Terry of Kalamazoo, Marybeth (Ben) Pompey of Kalamazoo, Brad (Sheri) Glazier of Cement City, MI and Renee (Bob) Owens of Texas; cousins, Jordan, Brandan, Grace, Collin, Nikki, Rachel, Josie, Bryce, Jesse, Shane and Stephen. She was preceded in death by her great-grandfathers and one great-grandmother. Friends may meet the family from 2 to 4 and 6 to 8 P.M. Friday at the Winkel Funeral Home, Otsego. Funeral services will be held at 11:00 A.M. Saturday at the River of Life Church, located at 1692 – 12th Street in Martin, with her uncle Kenneth Terry, Jr. officiating. Burial will follow at Mountain Home Cemetery, Otsego. Contributions in memory of Taylor may be made to Remuda Ranch in Wickenburg, AZ. Lucas Paul ‘Luke’ Pollard of Plainwell, Michigan, Luke was born on July 26, 1985 in Kalamazoo to Bob and Joanne Pollard. He died from injuries suffered in a motorcycle accident on June 9, 2007. Luke is survived by his mother, Joanne Ellsworth and step-father Mike Ellsworth of Plainwell; his father Bob Pollard and step-mother Janet Pollard of Otsego; his maternal grandmother, Wilma Blanchard of Plainwell. Luke is also survived by his brother Matthew Pollard of Kalamazoo, step-sisters, Renee (Steve) Moses of Mattawan and Lyndsey Ellsworth of Mattawan; step-brothers, Aaron (Francine) Allen of Washington DC and Ryan (Renee) Allen of Kalamazoo; and his dog Maude. In addition, Luke is also survived by his aunts, Jean (John II) Buchin of Plainwell and Joyce Watson of Rockford; many cousins and numerous friends. Luke lived in the Cooper, Plainwell and Otsego area all of his life. He graduated from Otsego High School in 2003. He played soccer from an early age; he played golf and loved his John Deere tractor and products, and his motorcycle. Luke volunteered for Sylvia’s Place, was a member of the motorcycle club Unorthodox Styles, and loved fast cars, loud music and audio systems. He made friends easily and always had a smile. Luke was employed with Meijer at the West Main store and then transferred to the Plainwell-Otsego store. Friends may meet with the family Wednesday from 5:00 to 8:00 P.M., at the Winkel Funeral Home, Otsego, MI, where services will be held Thursday at 1:00 P.M., Certified Funeral Celebrant, William Rose officiating. Interment will follow at West Cooper Cemetery. In lieu of flowers, memorial contributions may be made to Sylvia’s Place. Jane M. (Berryman) McClearn, Age -- 59 of Alamo Twp., (formerly of Lewiston), MI -- died Saturday, June 9, 2007 after a lengthy illness at the Alamo Nursing Home. Mrs. McClearn was born April 3, 1948 in Detroit, Michigan, the daughter of Robert and Phyllis (Male) Berryman. As a young woman Jane summered at her family’s home in Lewiston, MI. Jane married Cliff McClearn in Ferndale, MI. Survivors include; her son, Craig McClearn of CO; her grandchildren, Caleb and Kaitlin; her father, Robert Berryman of Gaylord; and her brother, Curtis (Yvonne) Berryman of Boynton Beach, FL. Jane was preceded in death by her mother and by her husband. Cremation has taken place. Burial will be private.